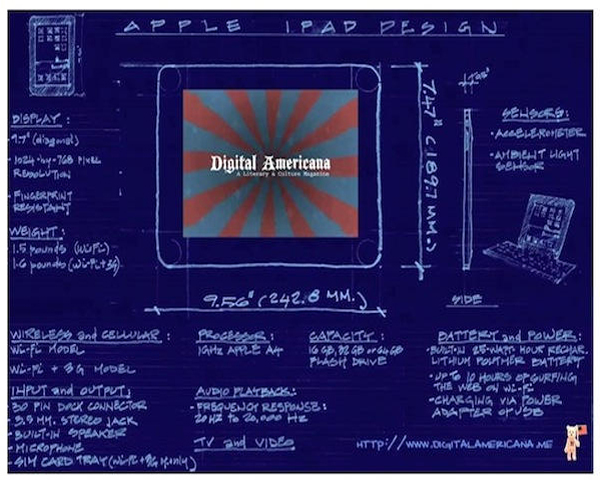 When Digital Americana launched as the first literary magazine for the first-generation iPad we had never even seen an iPad in person or held one in our hands, but we made-dam-sure to be available on day one of the new wonder-screen’s retail release. And we came into this game with two simple promises, which we stated on the first page of our first issue: our app should cost 99¢ and each issue should be better than the last. Promises I hope you would think that we were able to keep. So let’s go back in time for sec and let’s look back at the year of the tablet, the year we called 2010, and maybe you can tell us what we got right. I mean we did have a lot to live up to, cult-of-mac was already calling us a sign of things to come. One thing though that I should make clear before the victors rewrite history completely, but when the iPad was announced it wasn’t a surefire bet – it was even the brunt of feminine hygiene jokes – and it was only speculated that it could become what it is today. Luckily though today is today and we know what we know and the Mayans haven’t released their apocalypse moonbeams yet. But mostly, tomorrow will be an even better day as we get to continue to make things for people who want to read them and who want to experience them. It has been an indescribably fun two years. Here’s to awesome things in year three. So, here we are: writer and words, words and reader. The endless cycle has begun once again, but of course, in a different form. There have been many mediums established through the ages used to facilitate our recorded language. The first tablet was actually a rock. Later we welcomed the page and moveable type – a love affair that has lasted so long. That is until they electrified it and byte sized it and sent it shooting as fast as light so it could get unscrambled into the words that appear before you right now. And just like that, today we stepped collectively into the future, welcoming the iPad into a decade it will surely define. If you think about it (and I suspect you are in- deed a thinker), this is the next step for the written word. 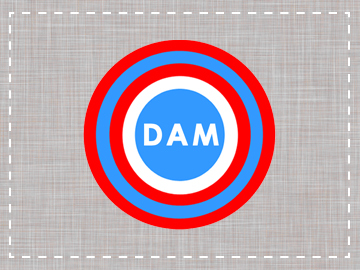 All other forms of media have moved into this digitized realm. Remember your first digital camera? How about your first iPod? It’s okay; you can be a little nostalgic; we know they are now obsolete. It is a requirement, in fact. Take those thoughts and move them to books. Remember your first book as a child? Sure you do. 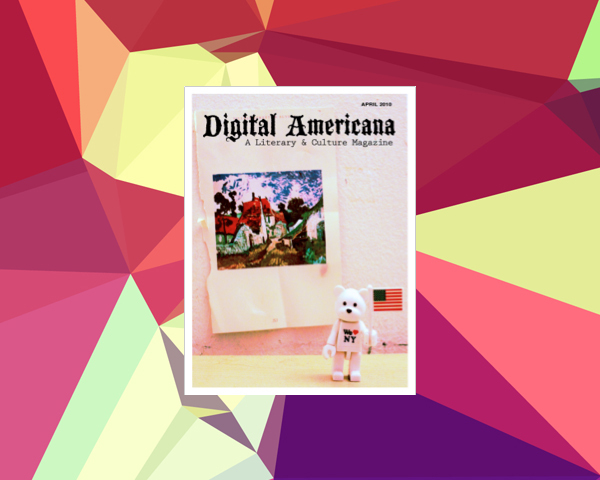 And today you have a new memory, that of your first digital interactive literary magazine, an experiment called Digital Americana. Before we continue, let me address some areas of interest. There have been a great many things said about this device from the media, the reviewers, the users, the fans, and the haters. Some are great and some are not. But could anything else be expected? People cling to the present with vice-like grips, deter- mined not to see it go. “No!” they shout. “No don’t let this moment drift into the past. Don’t let it become nothing more than mere nostalgia! I want my press in pulp, bloody pulp I say!” For my part, I try to calm them the best I can. I tell them that change is not a bad thing. In fact, let’s get rid of that word change. It’s been used too much in the media recently. Instead, let us call this new form of publishing what it is: evolution. This is the next logical step. Don’t worry; the page will always be there, that is until it too is obsolete. This is just a new branch on the tree of communication, where each outgrowth is able to further assist the sacred art of arranging these silent systematic symbols we love so much. It’s okay if you don’t understand the implications of the device you are holding just yet. From a more business-oriented standpoint the world of publishing has been hurting, bleeding out just like the music industry. On top of that, people are reading less and less due to a constant bombardment of easily consumable visually stimulating distractions. At some point our culture was no longer conducive to readers. It costs a great deal of money to create a book, so publishers have to be picky. They pass over (possible) master- pieces because they run into the conundrum of whether or not an unknown manuscript will make them money. And this is where digitized books come in. Finally a viable option for the people en masse. No longer is there a need for printers, distribution is nowinstantaneous and available on anything-anywhere with a screen. We’ve been getting used to our iPhone OS for some time now, conditioned by it even, so that the iPad may seem a little familiar al- ready. But, there is a world of possibilities that a device such as the iPad opens up. Readers of historical fiction can pause and reference a nonfiction book in their iBook library or even an interactive textbook. Parents can breathe easier as they instill in their children the importance of reading in this digital age. Newspapers need not fear going under because people can have the news delivered conveniently to their iPad and just in time for their morning coffee. Publishers can open up to new writers because the financial risk of publishing them is not as great as before. The possibilities are endless. It’s a new age indeed. This is what gets me excited about the iPad. This is why I am glad to be writing for the first digital literary magazine on the device. No more do I have to squint at the words on my iPod Touch. Now I can sit comfortably on the couch, in bed, on the sub- way, or anywhere else without worrying about my eyes going cross-eyed from squinting. “That’s what it all boils down to in a way: Comfort.” The ability to have information at your fingertips whether at home or out-and-about. Comfort. The feeling of this ultra-light digital-wunderkind ready to go at a moments notice. That’s Comfort with a capital C. As the iPad becomes as ubiquitous as the iPhone it will bring us that same sense of how we didn’t even know what we were missing until we had it. And isn’t that the sign of something good, if not great?